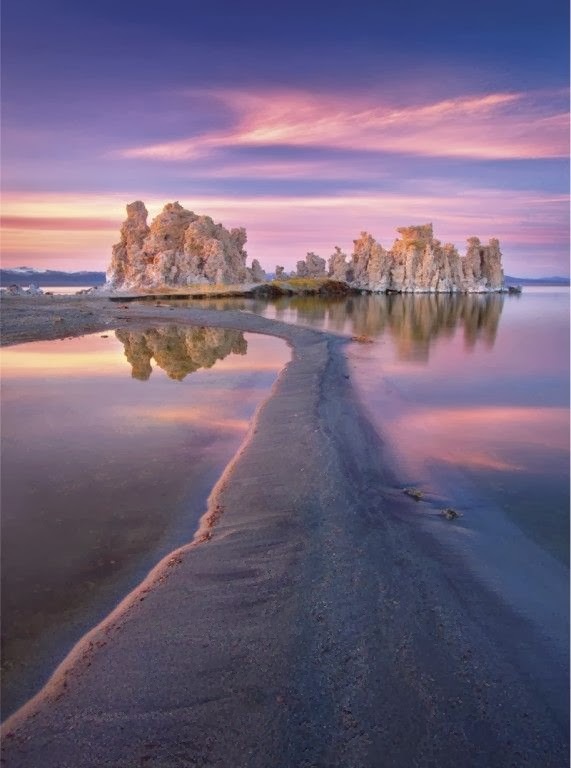 Mono Lake is a large, shallow saline soda lake in Mono County, California, formed at least 760,000 years ago as a terminal lake in a endorheic basin. The lack of an outlet causes high levels of salts to accumulate in the lake. These salts also make the lake water alkaline. This desert lake has an unusually productive ecosystem based on brine shrimp that thrive in its waters, and provides critical nesting habitat for two million annual migratory birds that feed on the shrimp. The human history of Mono Lake is associated with its productive ecosystem. The native Kutzadika'a people derived nutrition from the larvae of the alkali flies that live in the lake. When the city of Los Angeles diverted water from flowing into the lake, it lowered the lake level, which imperiled the migratory birds. The Mono Lake Committee formed in response, winning a legal battle that forced Los Angeles to partially restore the lake level.